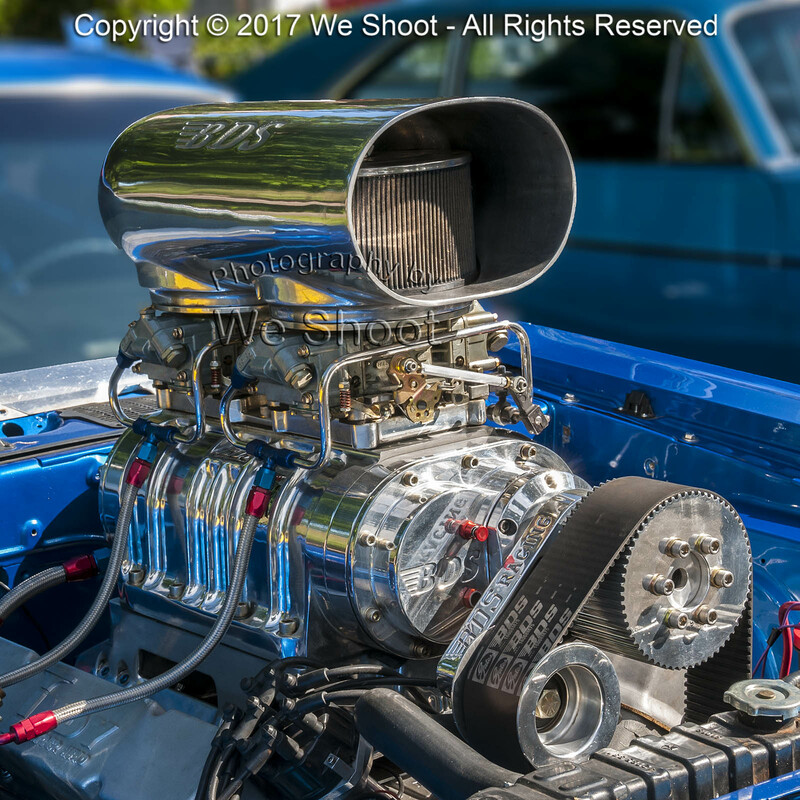 A Roots-type blower on a V8 hot rod engine with two four-barrel Holley carburetors. Seattle Automotive Photography by We Shoot. 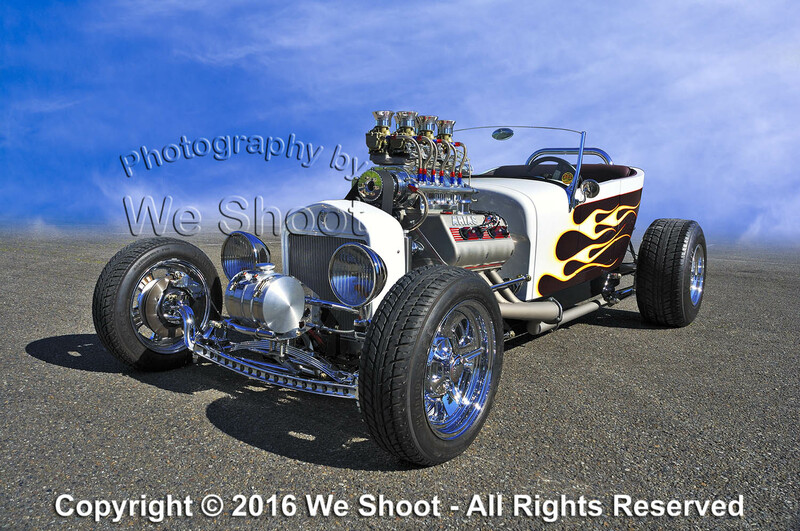 Hot rod T-Bucket roadster fantasy image. Seattle Automotive Photography by We Shoot.